The award was presented during the International Conference for High Performance Computing, Networking, Storage and Analysis (SC18), in Dallas, Texas. 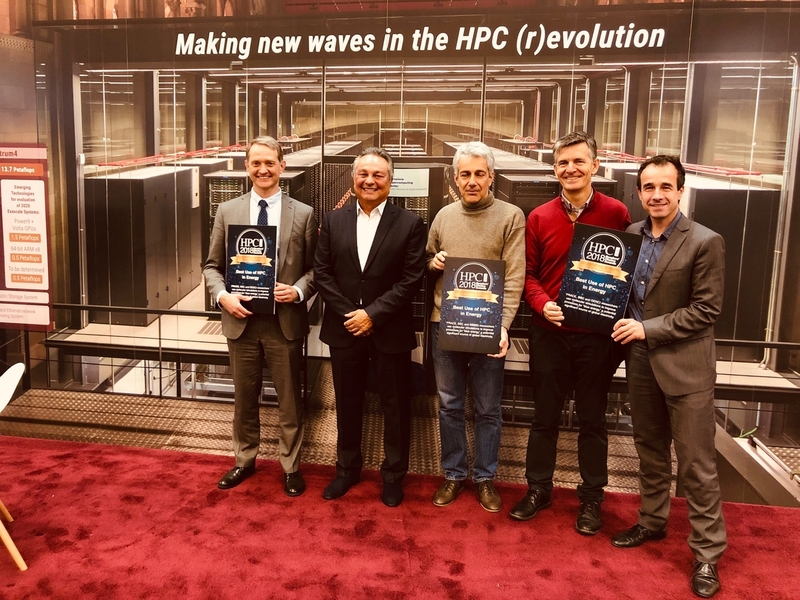 The Spanish supercomputer MareNostrum, through PRACE, has allocated 22.1 million core hours to a French research project that today received the HPCwire Readers’ and Editors’ Choice Award, in the category “Best Use of HPC in Energy”. A French research team led by Dr. Benjamin Rotenberg, CNRS – including Maison de la Simulation (CNRS/CEA/INRIA/Univ. Paris-Saclay), PHENIX (Sorbonne Université/CNRS) and CIRIMAT (University of Toulouse III – Paul Sabatier /CNRS) – used molecular simulations to improve processes for “blue energy”, a potential significant source of global electricity. Blue energy is the free energy lost when salt water and fresh water meet and mix in estuaries. The award was presented during the International Conference for High Performance Computing, Networking, Storage and Analysis (SC18), in Dallas, Texas. “This award shows that, facilitated by PRACE, European infrastructures such as the Spanish supercomputer MareNostrum are crucial for European scientists”, says Sergi Girona, BSC Operations Director. Tom Tabor, CEO of Tabor Communications, publisher of HPCwire, handed over the award to Sergi Girona (BSC Operations director), Serge Bogaerts (PRACE Managing Director) and Stéphane Requena (Directeur Technique & Innovation - GENCI) at the PRACE booth (#2033). The annual HPCwire Readers’ and Editors’ Choice Awards are determined through a nomination and voting process with the global HPCwire community, as well as selections from the HPCwire editors. The awards are an annual feature of the publication and constitute prestigious recognition from the HPC community. These awards are revealed each year to kick off the annual SC supercomputing conference, which showcases High Performance Computing, networking, storage, and data analysis.